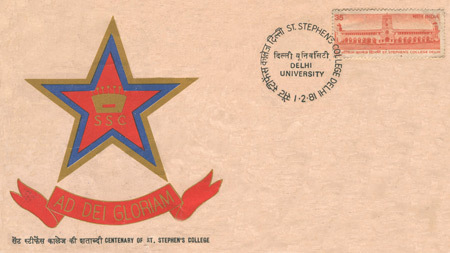 St Stephen’s College was founded on 1 February 1881 by the Cambridge Mission to Delhi in conjunction with the Society for the Propagation of the Gospel. The Cambridge Mission comprised a number of Dons from various colleges at Cambridge University, and one of them, the (later Canon) Samuel Scott Allnutt was the founder and the first Principal of the College. There was a St. Stephen’s School in Delhi, run by the S.P.G Mission since about 1854 . The Cambridge Brotherhood arrived in Delhi in 1877 to reinforce the teaching strength of this school. The Government had meanwhile, in 1879 closed down its Delhi College here, thus depriving the city and the neighboring districts of the benefits of higher education. St Stephen’s College stepped into the breach in 1881. The College was in fact an extension of the school and for some time, Allnutt was the Principal of both the School and the College. In the early years both the School and the College occupied rented premises in two mansions built in the old Mughal style in the bye lanes off Chandni Chowk, opposite the present Central Bank Building. The College was housed in Shish Mahal in Katra Khushhal Rai in Kinnari Bazar from 1881 to 1890. On 8 December , 1891 it moved into its own beautiful buildings designed by Col (later Sir) Swinton Jacob, Chief Engineer of Jaipur State. These buildings stand on both sides of the road in Kashmere Gate, close to the historic St. James’ Church. On 1 October 1941, the college occupied its present home in the Delhi University Enclave. Designed by Walter George, it is an elegant two story red brick building around four spacious courts. Built on ground levels, it has beautiful lines all along and in other respects too, particularly in the subtle Mughal motifs, it is a fine piece of architecture. Many more buildings have been added since 1941, the most remarkable of them being the Chapel, again designed by Walter George and added in 1952. To commemorate the College Centenary Year, a 35p. stamp showing the front view of College was released by the Prime Minister, Smt. Indira Gandhi, on 1 February 1981. The University of the Punjab (at Lahore) received its charter more than one year after the founding of St. Stephen’s College which became one of the two institutions first affiliated to it. Six students of the College sat for the Intermediate Arts exam of the Calcutta University in 1882, and two students passed the Punjab and two the Calcutta F.A. examination in 1883. St. Stephen’s College became one of the three original constituent colleges of the University of Delhi when the latter was established in 1922. The following figures indicate how the number of students in the College fluctuated over the years, and escalated later :1881(5), 1882(10), 1883(31), 1884(42), 1885(62), 1888(40), 1892(69), 1893(80), 1897(585), 1902(47), 1904(85), 1906(107), 1909(164), 1915(256), 1918(226), 1924(284), 1928(328), and 1929(355). The number at present is around 1200. In the first ten years the strength of the teaching staff varied between 8 and 12 teachers which gradually rose to between 20 and 25 by 1920 and hardly ever went up beyond 30 until 1960. Since then, the number of teachers has tended to increase rapidly and is now around seventy. Since 1941, the College has been slowly and gradually increasing in numbers and infrastructure. The layout of its present buildings in a 25 acre site was planned for a College of 450 junior members and 35 senior members, with at least half of them in residence. With increasing number of students teachers, administrative staff and the Karamcharis, the college has had to augment space in the library, the cafe, add two blocks of residence and new class-rooms. Between the end of the second decade of this century and the end of 1940’s, the College had a number of women students varying between one and twenty. This at a time when there were either no facilities or inadequate facilities for higher education for women in Delhi. The College ceased to be co-educational in 1950; but it became co-educational once again in 1975. St. Stephen’s College has many ‘firsts’ to its credit. It was the first College in India with a large proportion of Englishmen on its teaching staff to appoint an Indian, Sushil Kumar Rudra, as Principal, as far back as 1906. C. F. Andrews, then a teacher in the College, was responsible for this revolutionary step. While its missionary members from England received only a pittance, St. Stephen’s was the first among private colleges to have a decent grade for the Indian members of the teaching staff and even more importantly, to treat teachers of Oriental Languages at par with others. It was almost certainly the first by a long chalk to institute the system of study leave for two years on full pay for its Indian teachers, and then send them to Oxford, Cambridge or Dublin. First also, to gradually replace sectarian messes by inter-dining messes, until it had a dining hall large enough to accommodate all its resident students and some teachers at each meal. Both teachers and students going out of St. Stephen’s into the larger world outside have made significant contributions to various walks of our national life: education, art, science, law, commerce, administration, sports, journalism and politics. C.F. Andrews who taught English in the College from 1904 to 1914, was increasingly in demand for his great work as conciliator and fighter against social injustice and political exploitation, all over India and abroad. He left the College in 1914 for Rabindranath Tagore’s Shantiniketan, and was instrumental in bringing together the Poet, Mahatma Gandhi, Sarojini Naidu and the Principal S.K. Rudra in memorable friendships. Mahatma Gandhi and Kasturba Gandhi visited the College on 13 April 1915 and thereafter, he often stayed with the Principal on his visits to Delhi, and C.F.Andrews, too in the course of his peregrinations was frequently in the College. Also worth mentioning here is what C.B.Young who taught English and was editor of the St. Stephen’s Magazine (later The Stephanian) at the time, wrote about Jallianwala Bagh in the editorial of the July 1920 issue of the Magazine : “These columns as a rule do not engage in current political controversy. As a public institution it is our duty to avoid taking sides on strictly political issues, and where we touch politics at all we endeavor to deal with them in the spirit of impartial students rather than in that of partisans. It only because they matter to our mind concerns, concerns ultimate principle rather than mere party politics and raises profound moral issues that we find it our duty in this number to express our opinion in the subject which more than any other is engaging pubic attention at the moment. We are in empathic agreement with the condemnation bestowed on the action of General Dyer by all the authorities who have pronounced judgment in connection with the Hunter Committee of Enquiry. We rejoice especially at the strong and unequivocal repudiation by the Imperial Government through the mouth of the Secretary of State of the Principles enunciated and followed by General Dyer. With the purely political issues dealt with in the Report – the necessity of martial law and the existence or non – existence of open rebellion – we have less concern. They are questions of interpretation of fact on which opinions may differ without reproach. But as Christian Missionaries we cannot avoid the duty of forming and expressing a judgment on such a deed of horror as the slaughter in Jallianwala Bagh. The former plea has a sinister history. It was Satan, according to Milton, “With necessity, The tyrant ‘s plea, excused his devilish deeds”; and after him was the German Chancellor, Bethmann Hollweg, who defended the invasion of Belgium on the ground that “necessity knows no law”. The second line of defense equally ignores the moral issue. If it could be proved the General Dyer by his action “saved the Punjab”, as has been claimed, we would still not withdraw a word that we have written. Better, a thousand times better, in our view, if India were lost to the British Empire, than preserved only by such methods. The idea of an India held for England only by naked and ruthless force is one that no follower of Jesus Christ can consistently tolerate for an instant. We believe it to be also entirely out of the relation of the facts; the links which bind India and England together are of more nobler and durable material than brutal might. 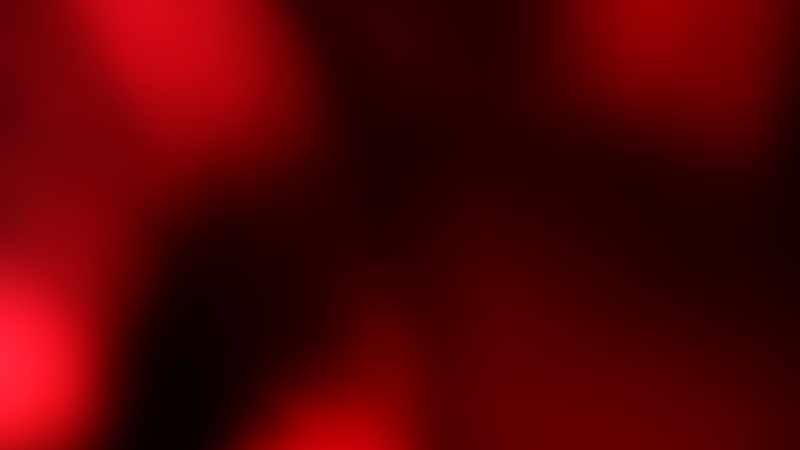 But it is with principles rather than facts that we are here concerned; and with principle we repudate with detestation a policy based on a belief in the continuing efficacy of “blood and iron”.